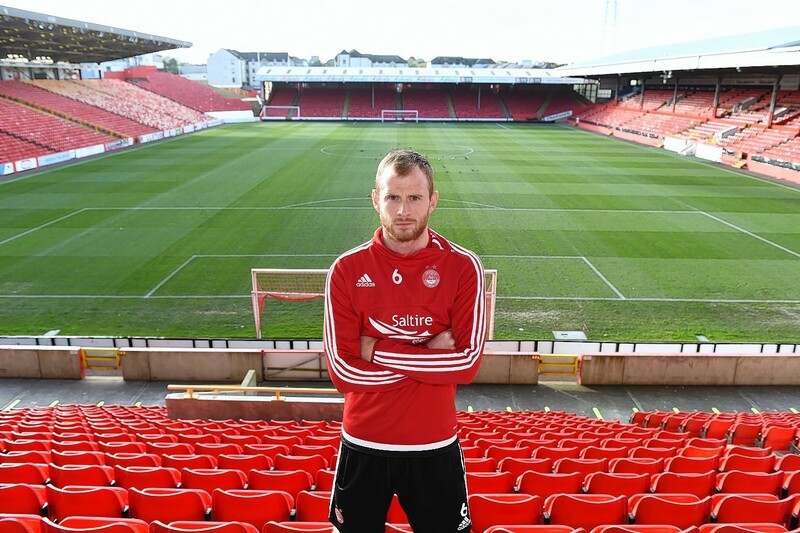 Aberdeen have gone six matches without a victory but vice-captain Mark Reynolds is adamant it is only a matter of time before the Dons experience that winning feeling once again. Saturday’s 3-1 loss against leaders Celtic at Parkhead means Aberdeen have gained just one point from a possible 15 after Ronny Deila’s side cruised to victory in the top of the table encounter. The Hoops’ in-form attacker Leigh Griffiths scored twice and James Forrest was also on target as the Dons, who netted a late consolation through Adam Rooney, suffered their 21st successive league defeat at Parkhead. Derek McInnes’ side, who were still top of the league in the middle of October, have now dropped to third place in the Scottish Premiership – a point behind Hearts and seven adrift of Celtic. But Reynolds, whose side host New Firm rivals Dundee United on Saturday, is refusing to panic, despite his side’s wretched recent results. He said: “It’s never good losing as many as we have, but we still have a good number of points on the board. “It’s compounded by having the eight wins in a row at the start, so it looks worse now. If you’d had looked at us trailing Celtic by only four points before this game, you’d be saying we were doing all right, but it becomes a more worrying statistic after losing five on the spin. The Dons badly need a victory against Dundee United to kick-start their stuttering campaign after going six weeks without a victory, having made such an explosive start to the new campaign. Reynolds said: “There’s been a lot of pressure on us all season. When we were winning every game, people were waiting for us to slip, but we kept getting wins. Now everybody is saying we can’t get a win, but we don’t see it that way. “We are still confident and we feel like the results are there for us. We just need to get our heads down and work hard. The Dons have now conceded 15 goals in six matches and Reynolds accepts his side must defend better against Dundee United this weekend. He added: “The training has been good but there are periods where teams just don’t get a break and can’t get a result. We just need to keep working hard.